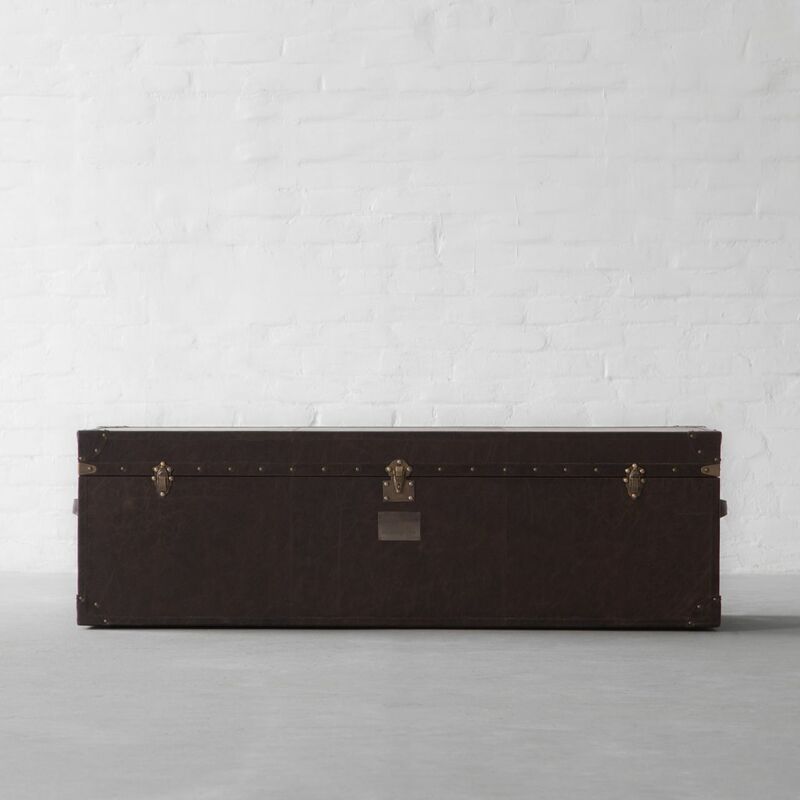 At the end of the bed, as a coffee table, as a room divider or as a banquette in a tight space; this design is as stylish as it is versatile where the inside is finished with smoothly lined velvet which can be used as storage. 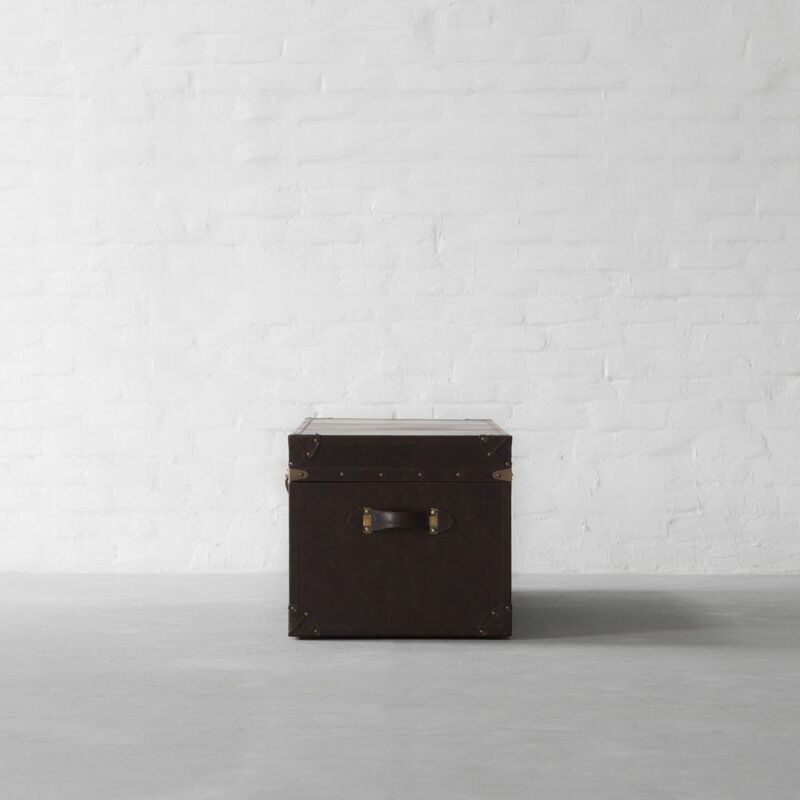 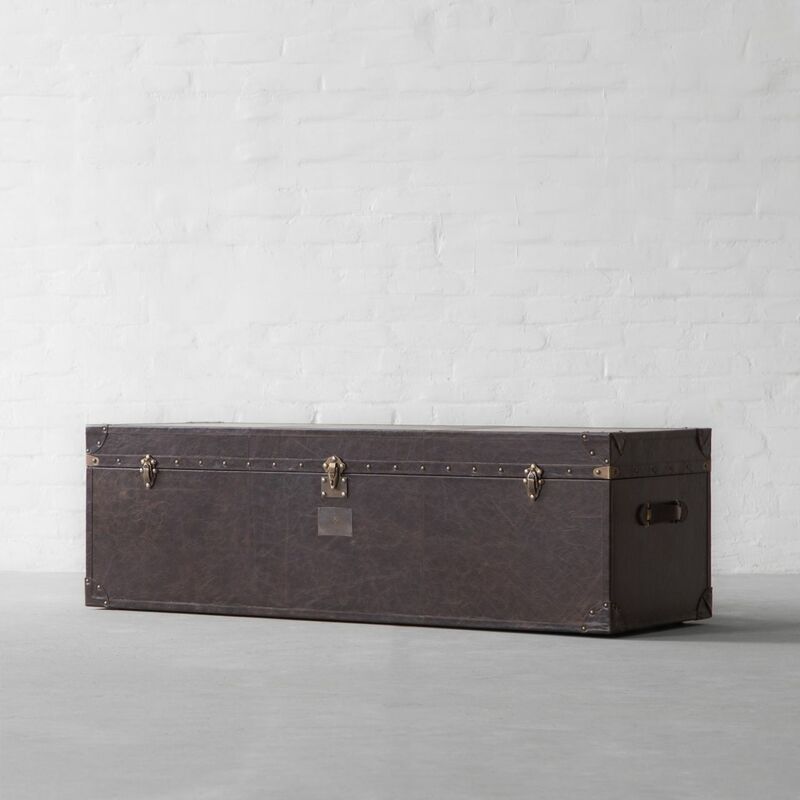 By prolonged voyages and expeditions, well-travelled trunks, protecting their owner's belongings have proved their enduring strength and quality craftsmanship over the years. 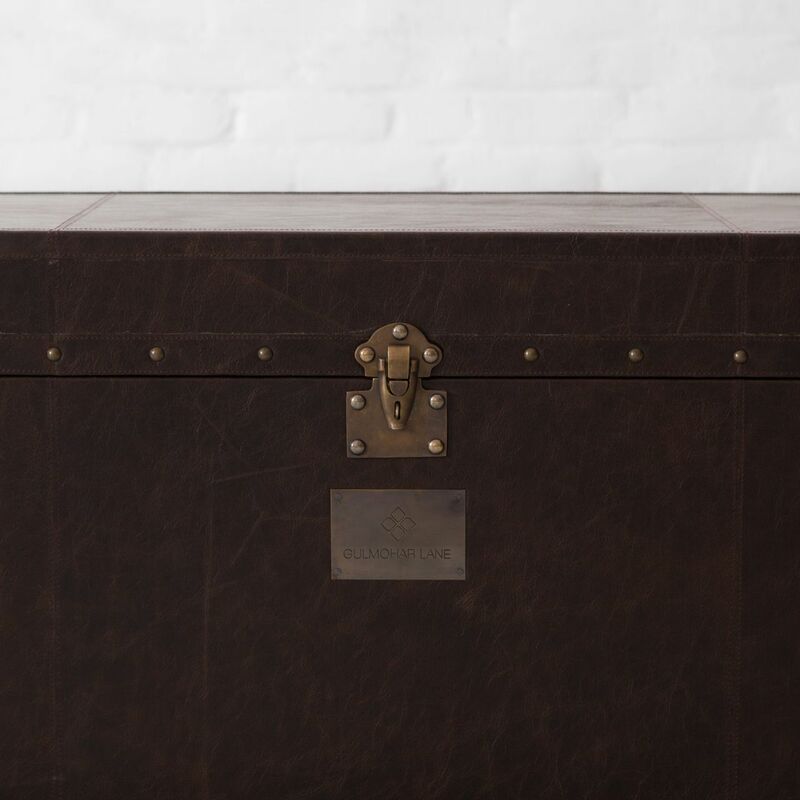 Our master craftsmen have crafted this Udaipur trunk collection, cladded in fine quality leather, and detailed with brass nail heads and handmade locks to celebrate this age old art form. 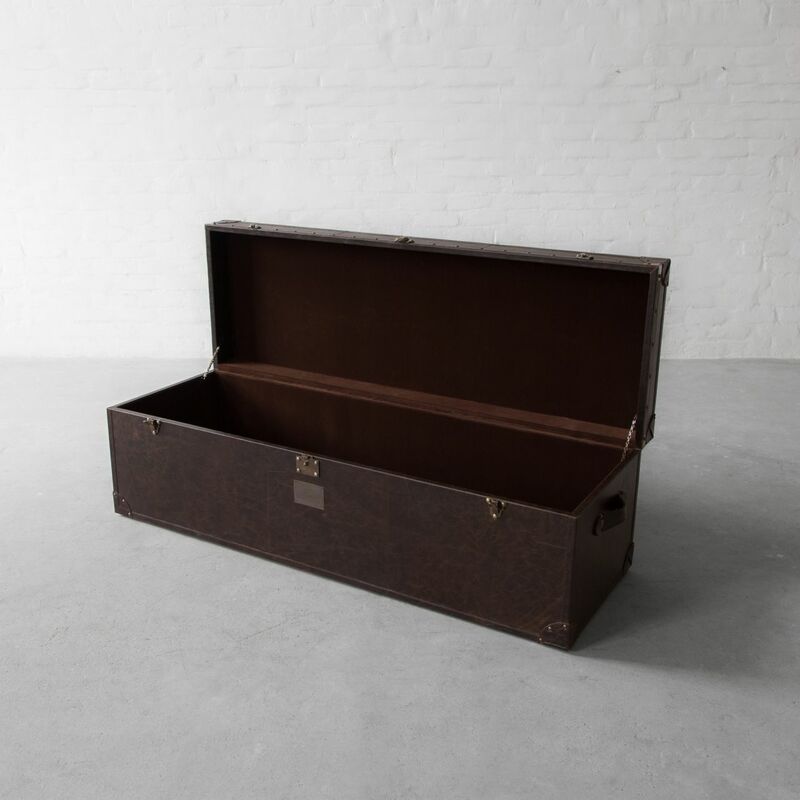 With this bench in your decor arsenal, heads are sure to turn!